A cash loan is a short-term loan provided by the lenders with minimal documentation. The application process of such loans is faster compared to the traditional bank loans. The money gets transferred directly into your account once the loan is approved. The transaction is typically processed within an hour. People take a cash loan for reasons like medical emergencies, festival shopping, to cover traveling or home repair expenses, to buy a new phone or a car, balance transfer and so on. 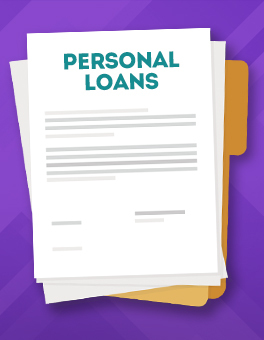 You can apply for a loan via a personal loan app. There are many apps available on the Google play store and Apple app store like CASHe. Download the app on your smartphone and register yourself. Enter your basic details and complete your profile. You need to enter the amount required and the duration of the loan. You can take a loan starting from ₹10,000 to ₹1 or 2 lakhs and the duration can be 15, 30 or 90 days. The app will then ask you to upload your documents. Once you submit all the required information the app will then review your request. Once the loan is approved the money is disbursed into your personal savings account. 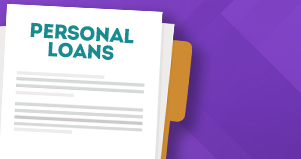 A salaried employee, as well as a self-employed individual, can take a loan. You have to be between 23 years to 58 years of age and a resident of India. You need to provide basic proof of employment and income along with adequate identity proof. Identity proof: You have to submit your ID proof such as pan card or aadhar card or driver’s license or passport. Address proof: You need to showcase your residential proof. Passport or rental agreement or utility bills like landline, water or electricity are valid proof of address. Income proof: You need to submit your income proof documents to avail a cash loan. Your 3 to 6 months’ salary slips will be required along with your bank statement. You will have to submit your pan card and upload your latest photo. Address proof: A self-employed person has to submit residential proof. Passport or rental agreement or utility bills like landline, water or electricity are valid proof of address. Business documents: Balance sheet of last 2 years of your profit and loss statement, Latest income tax return, and Ownership/partnership agreement will be required to avail a cash loan. CASHe is one of such loan apps that provide cash loans to salaried people. On the due date of the loan, you can repay the personal loan app via bank transfer or by depositing a cheque. The app will send you alerts to remind you of the due date.